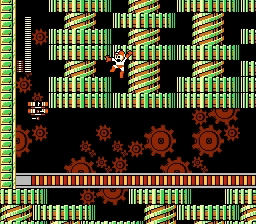 NES Mega Man 2 (JPN) in 24:33.5 by Shinryuu, TaoTao, pirohiko & FinalFighter. This new movie, played by Shinryuu, but assisted by TaoTao, pirohiko and finalfighter, is about 28 seconds faster than the previous movie by Shinryuu. Major and phenomenal changes to the previous movie were performed in the CrashClashman, Bubbleman, Woodman and Wily1 stages. Some of these took several years to plan and to carry out. Other new tricks were also used.